Pure cotton canvas & genuine leather combination. Complete genuine leather trim for elegance & durability. Magnetic snap on tab closure for convenient usage. Side bound & top bound pads accomodated. Minimalistic design for understated eligance. ID window and flap pocket on inside. Imprint Area: Outside - 2.5 in. x 3 in. and also the space to emboss your brand. A range of embossing options include blind embossing. or gold, silver, white or a choice of metal foil embossing. The popular magnetic snap on tab design makes the opening and closing of the folder well .. a real snap. 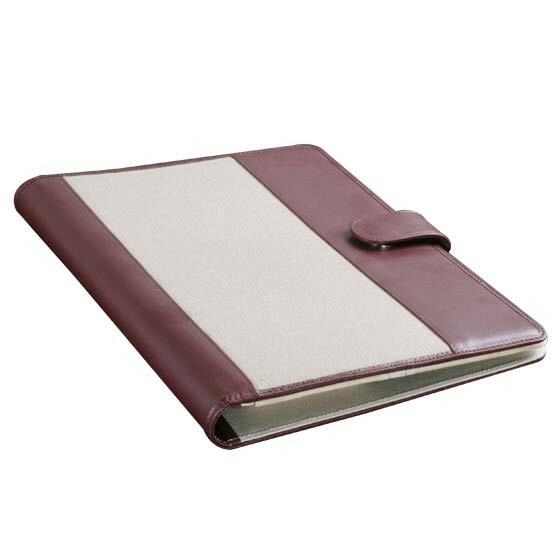 Neat turned edges around the folder gives it the finesse and finish meets highest standards of construction & workmanship. Provision to insert top bound & side bound pads. The inside is kept simple to keep minimalists happy. 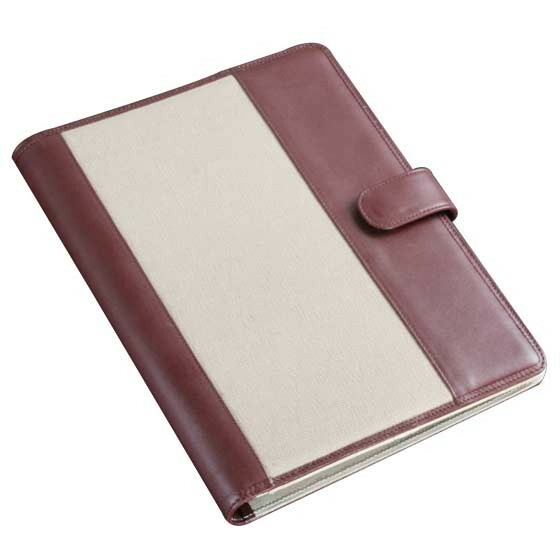 A long zipper pocket for your important content, an ID window & a flap pocket keep the inside simple and neat. 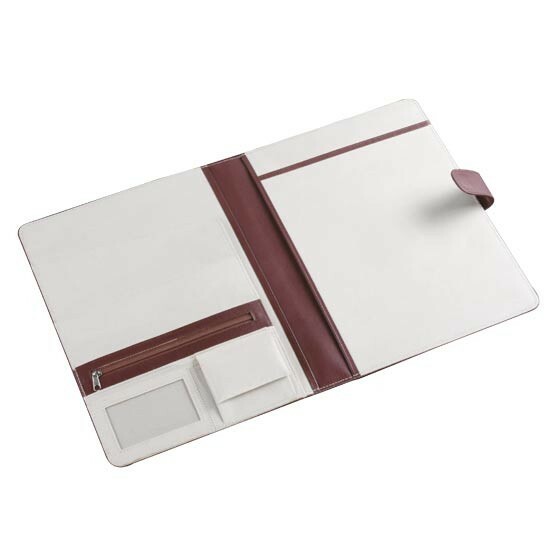 The complete design both inside & outside can be fully customized to your specifications in this style of folder & in all other products in this website.